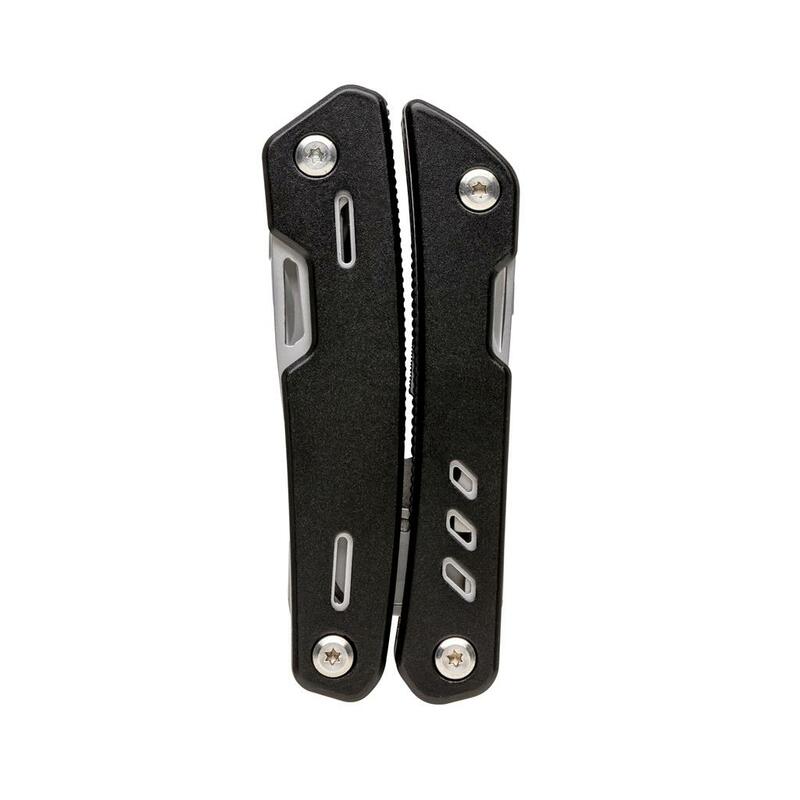 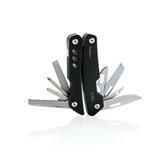 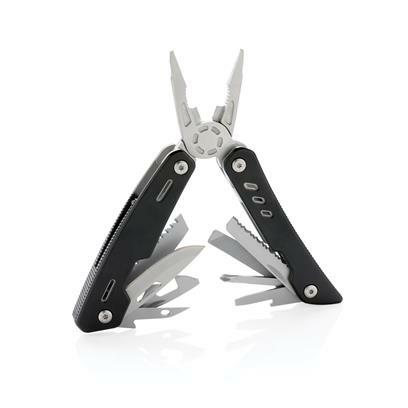 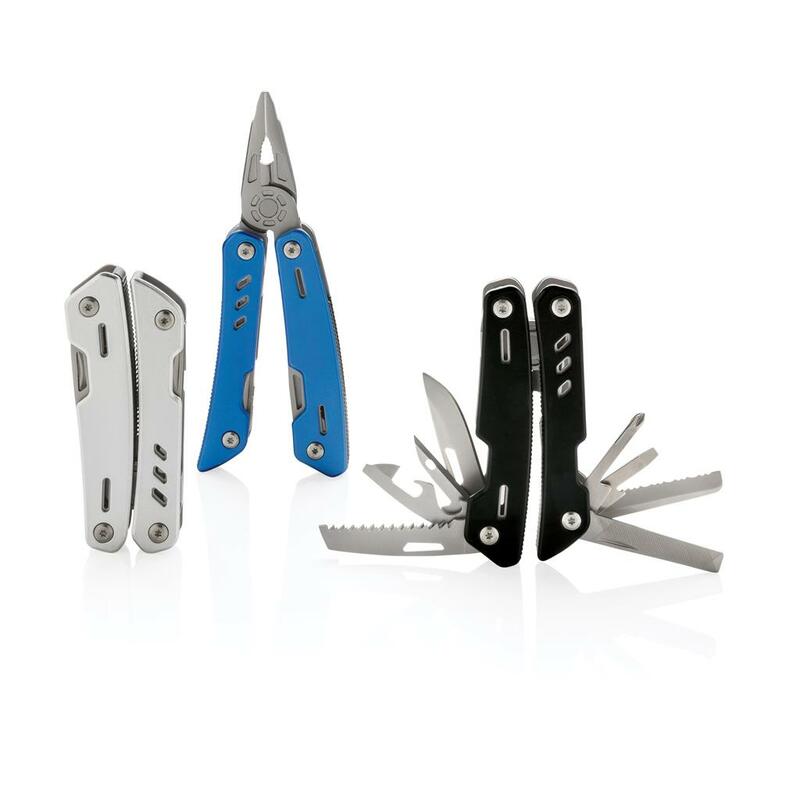 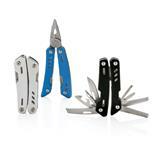 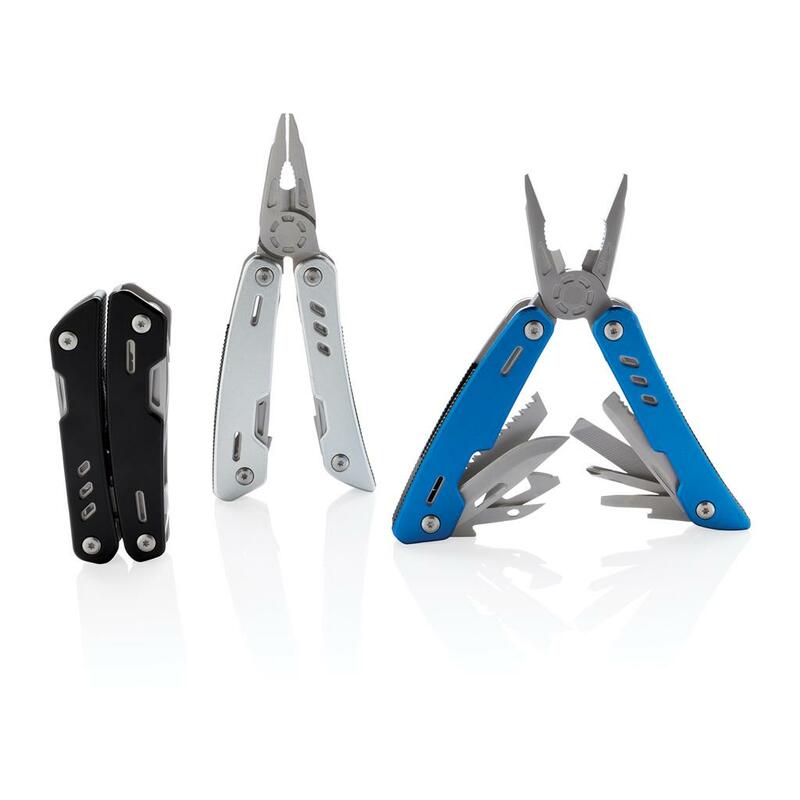 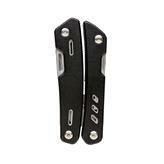 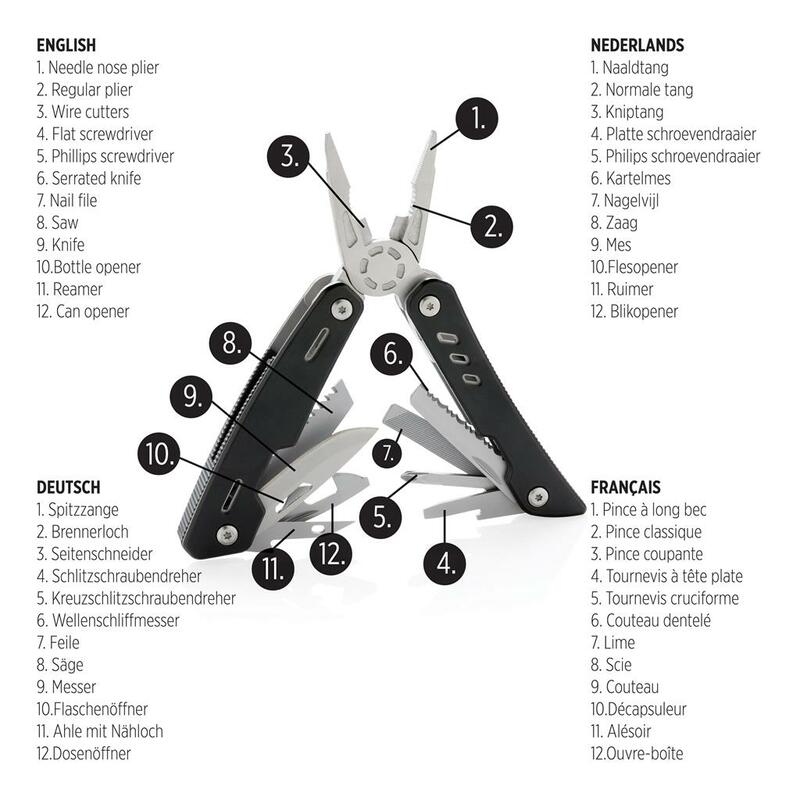 Strong and durable multitool with 12 functions. 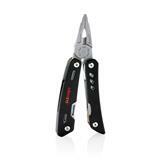 With aluminium case and stainless steel tools. 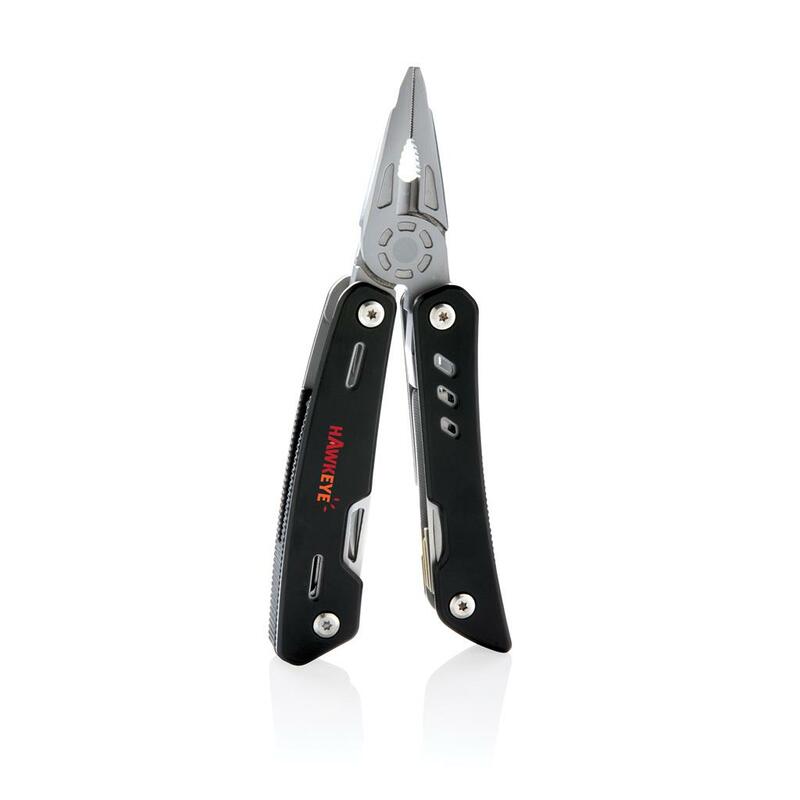 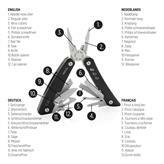 Tools include: needle nose plier, regular plier, wire cutter, knife, phillips screwdriver, small flat screwdriver, saw, can opener, bottle opener, serrated knife, reamer/punch, file & large flat screwdriver. Packed in gift box.